Beautiful Garden Wedding Ceremony Inspiration from Coolibah Downs! With our picturesque hinterland location and lush natural surroundings, it’s no secret that we love a garden wedding ceremony here at Coolibah Downs. Our sprawling gardens and manicured lawns are one of the key reasons why so many couples choose our private estate to host their big day – so this week we wanted to share some beautiful garden wedding inspiration from some of our favourite recent weddings, and show you the different garden ceremony locations available here at our Gold Coast hinterland venue! If you’re currently dreaming of a picture perfect garden ceremony, keep reading for a behind-the-scenes look at our Coolibah Downs garden weddings. Garden ceremonies have definitely been growing in popularity over recent years, with more and more couples opting for beautiful outdoor weddings. So what are the some of the main reasons to consider a garden ceremony? We see many couples gravitate towards a garden ceremony because of the relaxed, romantic and intimate atmosphere it creates for their nuptials. There’s something pretty special about being surrounded by lush gardens, fresh air and a stunning natural backdrop as you say your I-do’s. Many photographers also prefer working with natural light, and a garden ceremony allows them to take advantage of your outdoor location to produce some seriously beautiful photos. On a more practical note, a garden wedding ceremony is also the perfect option to accommodate large guest numbers. The last thing you want is for guests to feel cramped or uncomfortable during your ceremony proceedings, so opting for an outdoor ceremony can be a great solution for a larger wedding guest list. There can also be some more flexibility and decor options available when it comes to styling a garden wedding, with the opportunity to really make it personal. From lush floral arbours to statement chairs, aisle runners or scattered petals, we love seeing our couples get creative with their garden ceremony styling! With over 10 beautiful acres of garden space to choose from, it’s safe to say the possibilities are endless for couples planning an outdoor ceremony here at Coolibah Downs. Some of our most popular ceremony locations at Coolibah Downs would have to be our Croquet and Manicured Lawns, Lilypond, Garden Gazebo, and of course our stunning Love Tree. The perfect ceremony location for your own wedding will all depend on the vision you have in mind for your nuptials. For example, our Love Tree is the perfect statement backdrop for a romantic open-air garden wedding, while our Garden Gazebo is ideal for a secluded and intimate rainforest setting. With that being said, we are super flexible when it comes to garden ceremony locations, and our couples are free to take their pick from a number of different garden spots – the options are endless and completely up to you! On the hunt for the perfect garden venue? 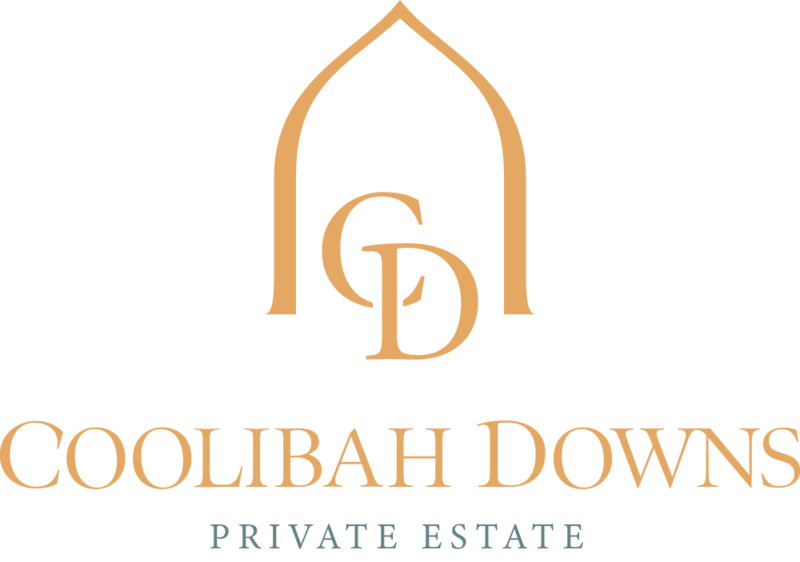 If you’re currently hunting for the perfect venue to host your garden wedding ceremony, we’d love to welcome you in for a site tour here at Coolibah Downs. The best way to find your dream ceremony location is to explore our grounds in person, so get in touch with our friendly wedding team to book your complimentary bridal appointment – we look forward to helping you create the perfect garden wedding on the Gold Coast Hinterland. Still trying to lock in a date for your nuptials? Check out some of our key reasons to consider a spring or winter wedding on the blog!